Nowadays smartphones have become common for everyone in the world and this touch screen factor is boosting up day by day. Many of you would have get tired by touching on the screen or typing something. So for this you can use external mouse or keyboard. To use this external mouse and keyboard you need an OTG cable, now many of you will be hearing OTG name for the first time. So first let me explain what is OTG. And no other app is needed to use this feature and there’s no need of rooting your phone. OTG stands for “On the go” you can use this cable to connect your pendrive, mouse, keyboard and also your PC. You can get external storage with the help of OTG as you can use as much as large storage pendrive. also you can easily transfer your files or any other data by connecting it with your PC. You can use external USB mouse and keyboard as we are going to discuss about that. 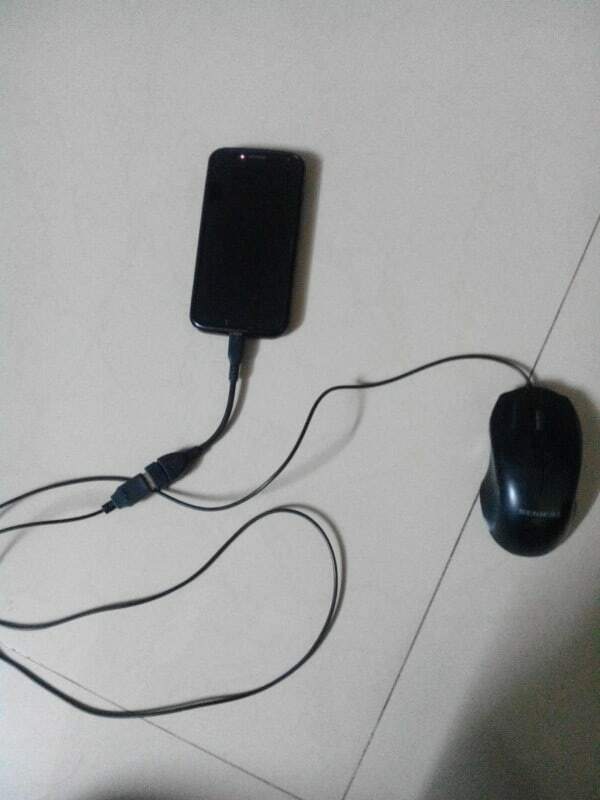 Let us first connect external mouse with android phone. For that you need an OTG cable connect the cable with phone and other side of the port with external mouse and that’s it. You will see mouse cursor in your phone as shown below in the image. And you will feel something different experience of it. Now just click and open any thing without touching your phone if you are having a long wire mouse than you can place your mobile far and you can enjoy your work. With the same procedure you can connect your mouse with tablet also. 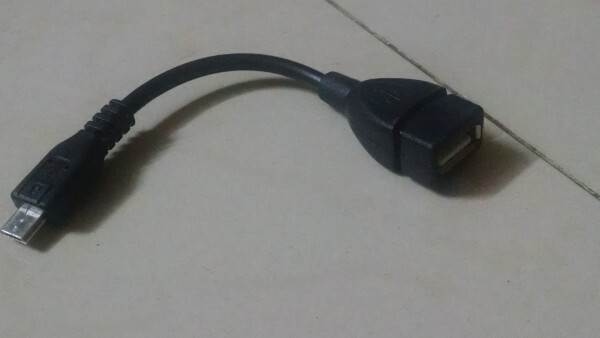 As you can see in the first image this is how you have to connect the mouse with your android phone using OTG cable. After connecting you will see the mouse appearing in your screen as i have shown in the second image now just enjoy by not touching but by clicking in your phone. Now just like connecting your mouse the same procedure is to connect your external keyboard the main advantage of using external keyboard is that if you are using a small display mobile for example a 4.0 inch mobile and if your fingers are little big in size than sometimes problems occur during typing in your phone. So for this you can use external keyboard and you can type fast and it will be better option too. The same thing you can also connect your keyboard with tablet also. 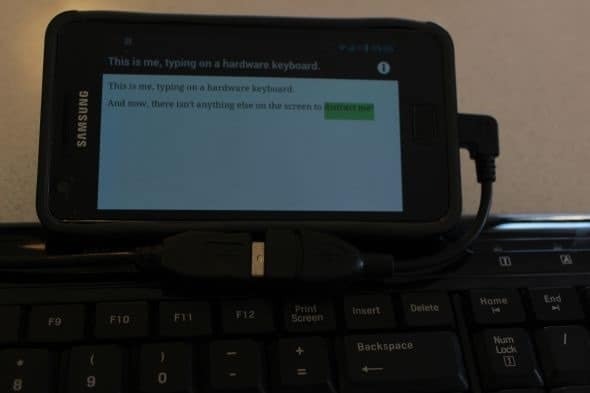 So this is what how we can use external usb mouse or keyboard in Android phone. So just follow this simple step and enjoy using it. Must try this feature: Use a full scale keyboard to type in long messages on your mobile devices with the help of Typeeto. Also comment below in comment box for any suggestions or queries. Thank You…!!! Can Vivo Y31l support mouse and keyboard? How to know which devices are supports keyboard and mouse?? Any link? I have sony xperia Z1 and s-link hi speed otg hub, I tried to connect my logitec m90 mouse to my android phone but it didn’t work (also tried on other phones, same result). What can I do to fix this problem? Is it the cable or the mouse? Its not working dear give another way. Your Mobile/tablet should be supporting OTG. Moto g2 can support otg. How shall i get otg keyboard. When i plug in a mouse, the default android keyboard does not work. How to use it when external mouse is plugged in? I fade up with this,,,,,,,I tried a lot but space bar doesn’t work n I can’t write one key two time like zz,BB etc why? Mouse doesn’t work in my vivo y31l..only shows that mouse connected but no cursor appear…Please fix this problem..
My cell phone is gionee marathon m5 . its support muse and keyboard ??? red mi note 3 has supporte external keyboard and mouse please tell me…. Is the mouse working before android is started? i am planning to buy a smart phone, preferably redmi s3 16gb, it is possible to use mouse on this phone. does samsung galaxy core 3 supporting otg?